Google's Project Glass Could Be Its "iPhone Moment"
When Steve Jobs introduced the much-rumored iPhone on January 9, 2007, my friends and I let out a collectve “oooh damn.” We knew this was huge. I remember the moment that I got the first generation iPhone very clearly. As soon as I touched it, I knew that it was a revolutionary device and that I wouldn’t use a phone the same way again. For the first year that I had the iPhone, it was a topic of conversation no matter where I went. Everyone and their brother wanted to touch it and play with it. They wanted to see what all of the hype was about, and for the most part they went away from the experience with the same feeling that everyone else did. Yes, it was that awesome, and yes, they wanted one badly. Of course, the iPhone (and Apple as a company) was completely secretive. You didn’t see it wandering about in the wild, and Steve Jobs definitely didn’t take it on television shows or on public appearances to tease us. He didn’t have to, he was Steve Jobs. 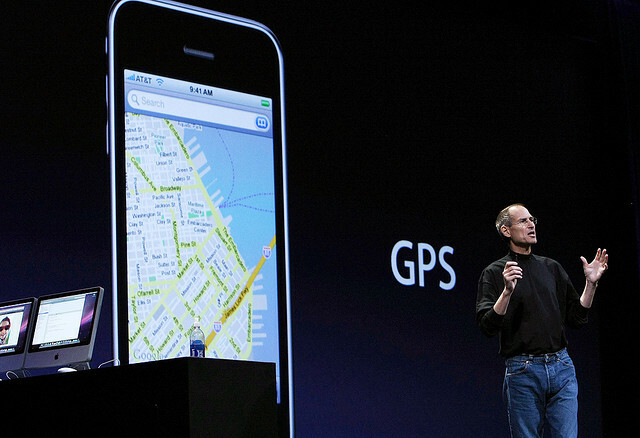 Apple knew that on that day in 2007, the world would be salivating to get their hands on one. Other companies don’t have the track record that Apple does when it comes to hardware. After all, this is the same company that wiped out the need for CDs with the launch of its iPod. Google doesn’t have that track record to fall back on, which is why Sergey Brin is toting Project Glass (increasingly being referred to as “Google Glass” by Brin and Page) around with him wherever he goes. What Page and Brin are doing is building up the same sentiment that Apple is able to do with all of their products. That feeling of “oooh damn”, meaning it could actually change the way that we interact with the world around us and the people we care most about. Having an “iPhone Moment” isn’t easy to reproduce, but with every public appearance, Brin is making it happen. The entire story behind Project Glass, including the fact that its being worked on in the Google X unit, is creating a narrative that will culminate with its release. Google is known widely as a big data company, in that it takes all of the world’s information and makes it available through a very powerful search box. As the company tries to tie all of its products together with its social layer Google+, the company is becoming more “human” to the public. Project Glass could be Google’s “iPhone Moment”, and when you get your hands on one eventually, prepare to be asked by everyone and their brother if they can play with it.